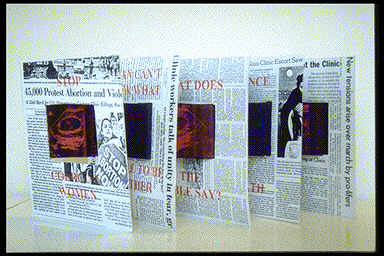 Tunnel Books have cutouts in the middle of concertina pages, allowing the reader to see through the book from one page to the next. 7" x 8". Photocopy and laser print. 8 5/8" x 7 3/16" x 18" (extended), Silkscreen and offset. 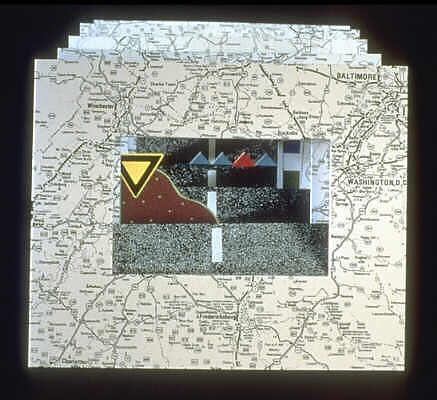 The road maps which serve as page borders chart a coast-to-coast trip across the United States, connecting places important in the artist's life. A Chinese proverb on the back cover reads, "To know the road ahead, ask those coming back." 7" x 5" x 9 1/4" (extended), Offset edition of 600. 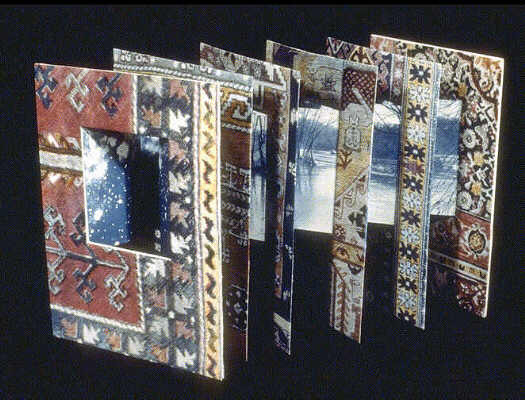 A "magic carpet" ride with five pages of oriental rug motifs bound by two photographic panoramas. Printed at Pyramid Atlantic Center for Paper, Prints and Books, Riverdale, MD. 7 1/2" diameter x 10" (extended), Silkscreen edition of 150. 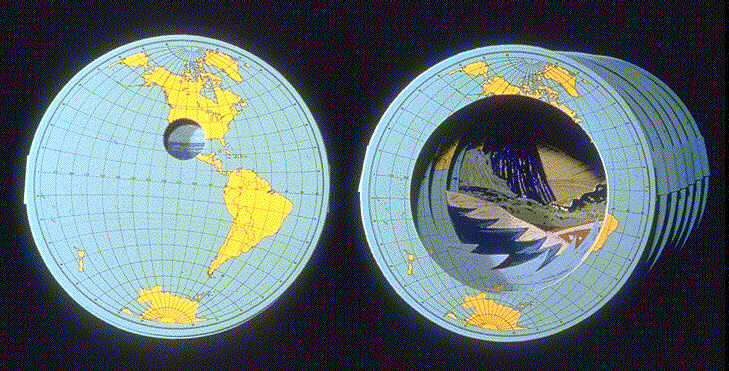 Seven circular pages plus front and back covers show alternating maps of Eastern and Western hemispheres.Inside each page is a small landscape image of a different global geography. 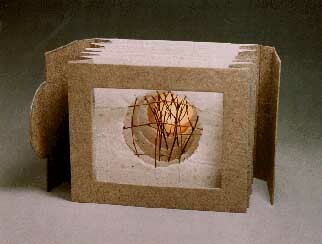 Produced at the Women's Studio Workshop, Rosendale, NY.